HBA, gold front, let me guess, so trill? Russ Drops new reflective single “Some Time”. Early this morning Russ notified fans on Twitter that his new song was out, he also hinted that more is in the pipeline. It’s not surprising to see Russ releasing a new single. Since his last album “There’s Really a Wolf”, released back in May of last year fans have been railing for more jingle from the multitalented rapper/ singer /song writer/ producer. The rapper will be touring Europe in February through to March, afterwards he will be back in the US where he will perform at the The Governors Ball Music Festival 2018 at Randall’s Island, New York. Below is the new music video, watch and leave your comments. Nicki Minaj former Hoodstars member 7even-Up was shot multiple times including in his head. The Young Money MC is currently praying for her longtime friend and former member of the rap group she was once a part of, Hoodstars. 7even-Up, whose real name is Jaquin Royall, was shot multiple times all over his body including bullet wounds to his head in the Coney Island area earlier this month. Luckily he survived the attempted murder and was rushed to a local hospital where he has been getting treatments. Royall is also facing some legal troubles because police found an illegal gun in his possession on the scene of the shooting. Whether or not that gun is linked to any crime is not yet known, but he could face with gun charges which carry years in prison. Details about the shooting are still sketchy, but sources say he was leaving a bar in the area when he was ambushed. 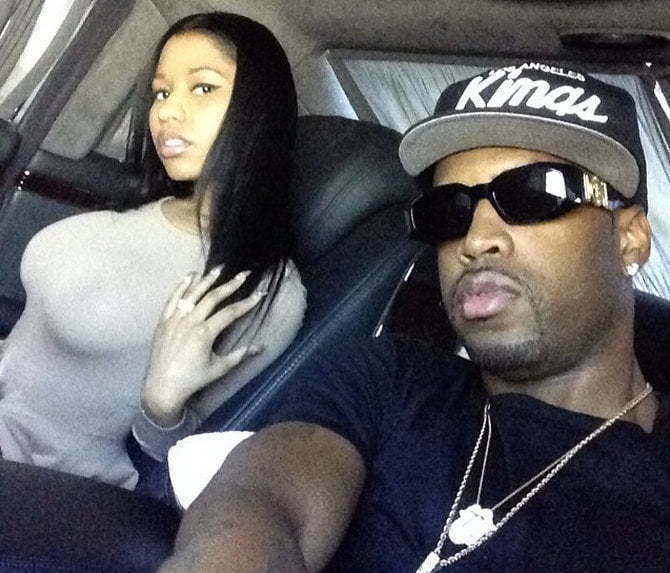 Before landing a record deal with Young Money/Cash Money, Nicki Minaj and her now ex-boyfriend Safaree Samuels, were members of a rap group out of New York name Hoodstars. The group comprised of four members who use to perform at clubs and parties around Queens and Brooklyn. The group was later disbanded and Nicki set out to pursue her own solo career.